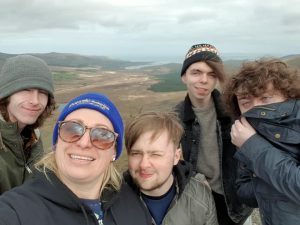 Students from the BA top degree in animation had four films selected for the “Official Selection” at Animation Dingle 2019. This is a big achievement given that the event welcomes student applications from throughout Ireland but also from international colleges and Universities. It is the biggest animation event in the country and takes place on an annual basis. 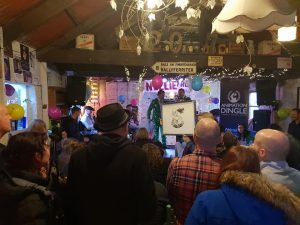 The student films selected were Mamma’s Little Monster by Director/Writer Kelly Herbert, “Sound Holds the Distance Travelled” by Director/Writer/Producer Gareth Gowran/Sadhbh Lawlor,” Dobrogor” by Director/Writer/Producer Marek Winnicki and “On The Radio” by Director/Writer Dave Cooney. 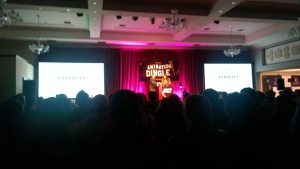 Of these, two of our college films were nominated for the International Student Animation Awards Marek Winniki’s “Dobrogor” for the Best Art Direction/Design category and Gareth Gowran’s “Sound Holds the Distance Travelled” for the best Director Award. 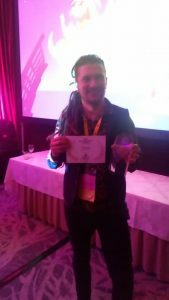 Marek Winniki’s film won his category. This is an enormous achievement for a student from CDCFE given the strength of the competition. 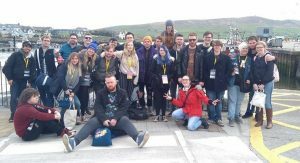 40 students and staff from the college attended events in Dingle which included speakers such as Bob Peterson (Toy Story, Up, Monsters Inc) Richie Baneham (Oscar Winner for Avatar, Lord Of the Rings) and so on. It was a brilliant experience for all of the students and staff and we are looking forward to further successes in the future at the event.